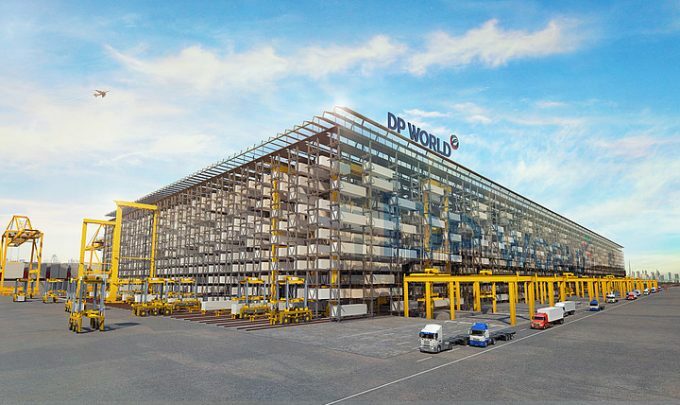 Port operator DP World is set to develop an innovative new container storage system at its under-construction fourth container terminal in Dubai. It has come together with German industrial solutions developer SMS Group, whose AMOVA subsidiary has designed the racking-based High Bay Storage System, which has also gained traction in the air cargo industry. The two companies claimed the new design would offer terminals some 200% more capacity in comparison to existing terminal yard arrangements, as well as cut time to unload and load ULCVs by as a much as 30% – potentially cutting the common two-0days that the largest box ships stay in port to under a day and half. 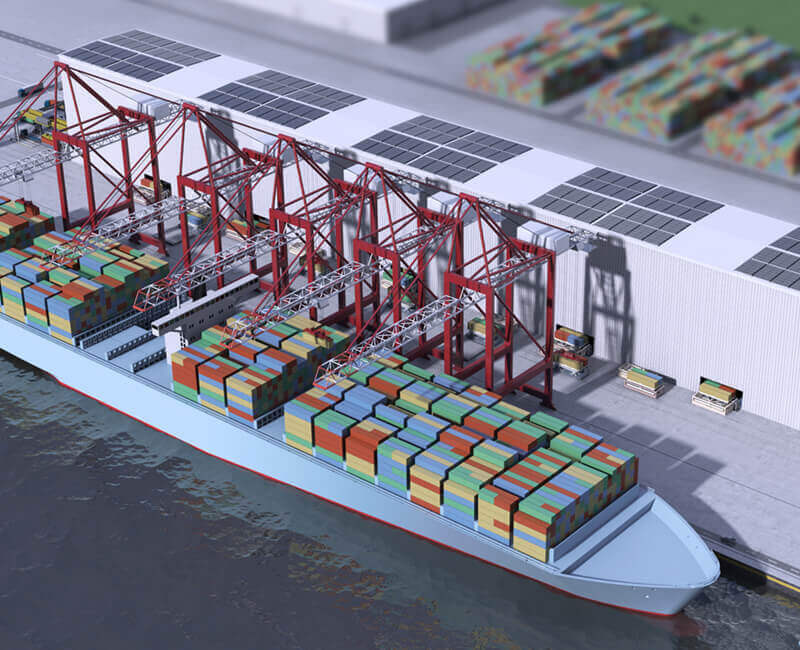 The design, which has been borrowed from the steel industry’s practice of storing 50-tonne metal coils in “racks as high as 50 metres” would see the boxes transferred from ship-to-shore cranes directly into the racking system, thereby eliminating the need for horizontal transport between the quay and terminal yards. Burkhard Dahmen, SMS Group chief executive, explained: “Our subsidiary AMOVA has optimized this technology in industrial applications for the metals industry over several decades. A similar concept has been developed for the air cargo industry, which last year saw SMS Group’s air freight handling subsidiary ACUNIS build the largest automated terminal in Africa at Addis Ababa airport for Ethiopian Airlines. The heart of this $125m installation are two automatic warehouses with space for 1,000 10-ft for ULDs and four elevating transfer vehicles (ETVs). It has an initial annual throughput capacity of 600,000 tonnes per year, which will double with the addition of a second phase. ACUNIS is building a similar facility at Nairobi airport. In Dubai, DP World group chairman and chief executive Sultan Ahmed Bin Sulayem said the terminal would be completed in time for the Dubai Expo 2020 world fair. “DP World’s experience and expertise in moving cargo coupled with the technology of AMOVA will ensure the system is remarkably efficient and relevant for present and future operations. “As a world first in our industry we are tremendously excited by its potential and ground-breaking features. Our engagement in new technologies is a major priority and we have become known for seeking ways that transform the way goods are moved across the world,” he said.